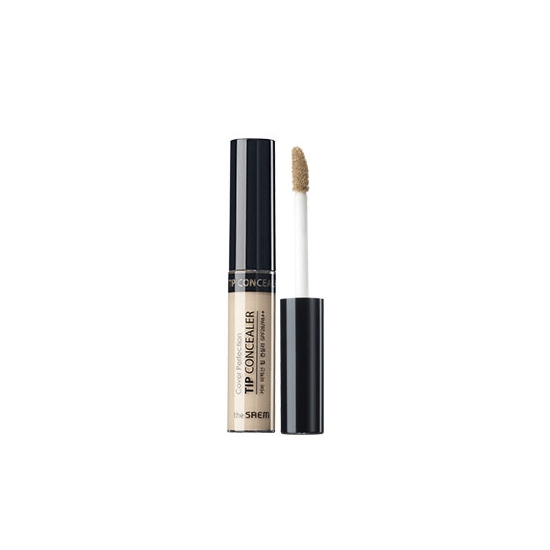 I bought this concealer because many beauty bloggers recommend this product , it’s perfect for me ! I wanted to try this hyped up product and It’s definitely worth the hype! Its AMAZING! I got the 1.5 natural beige (my skin tone is yellowy/tan ish) and it’s perfect for me. 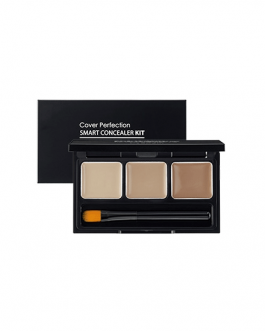 Very pigmented, smooth and hides any blemishes/dark spots without looking cakey. At first I thought it was a it small but I’ll buy it again. Best concealer! It covers very well for under eyes circle as well as your acne scars! However, it does crease under my eyes because I have oily skin. I apply Innisfree no sebum powder on top of it and no more creases! This concealer is the most high coverage concealer I’ve ever purchased. It’s lasting power on my skin is also really great. Most concealers I’ve used end up a bit too cakey and drying for me, however this one is just perfect. Its very thick, you need just alitbit, covers on nice way dark circles. This is one of the best concealers I’ve ever tried. It applies like a dream and covers EVERYTHING!!! I use it for both under eyes and blemishes. Just add a little powder on top and it won’t budge all day. 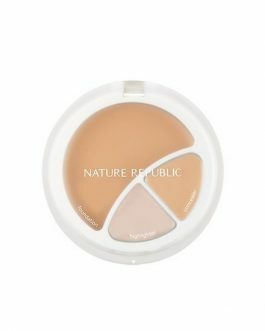 Great concealer with a good medium to full coverage. I use the lightest shade (clear beige) and I’m around an NC15, at first the colour is perfect but i notice that it oxides. 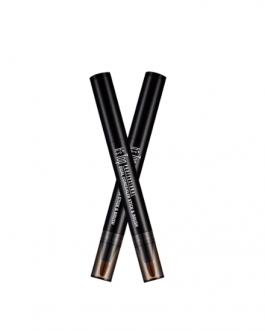 Great for under foundation though, lasts all day – good to use for touch ups to. Just wished the colour didn’t oxidised. Also, extremely affordable. I quite like this concealer. I have very pale oily skin (Missha Perfect Cover BB cream in 21), and this covers any red marks I may have. I do set it with a little bit of powder. This is my favourite concealer of all time! It’s great at covering up but its not too thick I just love it! Best concealer I have used so far and much more affordable! 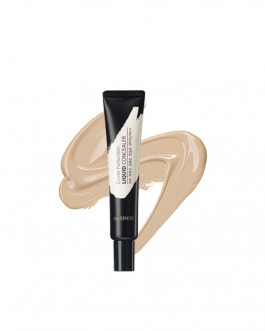 the coverage of this concealer is so balm!and it’s not to dry eather, it’s everything i’m looking for in a concealer. Easy to apply, great coverage, a little bit goes a long way. Good performance at such good price. I got shade 01.Clear Beige, it’s a bit darker than my skin tone. I use it on my dark circles and my scarring and acne pimbles, it covers really well! Sadly, it creases on my undereye area. But all concealers do, even mac pro long wear concealer creases on me. 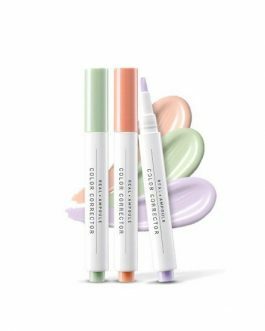 This is the first concealer I’ve tried from The Saem because I’ve heard alot of good things about this from different beauty gurus on youtube and it is a holygrail of mine now! I love this concealer. It really is one of the best, and for the price too. The coverage is great. The tube is tiny. But a little goes a long way. I got 1.5 and it matches perfectly with my face. This has amazing coverage and a little goes a long way. However, I did notice it oxidize and turn slightly orange on my hand, yet not on my face so I’m not too sure. This covers EVERYTHING, It’s such a small bottle but you get so much product for the cost. I find that this does crease under my eyes but like whatever really. I got this one in 02 rich beige and its a bit too dark for my skintone. However the coverage is amazing, it is the most high coverage concealer I have used. It isn’t too thick or drying which was surprising as it is medium to high coverage. The colour of the concealer lies towards neutral-warm but my skintone is very yellow so I didn’t match my skin. Also i noticed after a while it oxidises to almost a slight orangey tone. I think this shade would match those who are around NC30 as it does oxidise. I like this concealer very much. 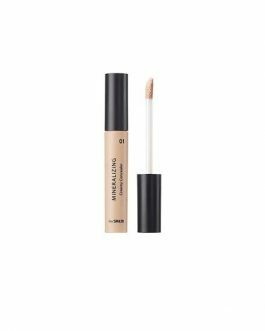 It has a good coverage without making my skin look cakey, it blends well, it doesn’t smudge after several hours (long-lasting), and it doesn’t get deposited in my fine lines like many concealers do. It’s a small tube but only a tiny drop is enough because it’s highly pigmented. The reason I’m giving 4 stars because I checked its ingredients online and it includes “butylparaben”, which has been linked with toxicity in humans (but to be fair, there doesn’t seem to be a consensus on that). i odered 1.5 color. lots of youtuber recomanded this concealer. so i bought it. at first time, i feel like soooooo dry. i usually use maybelline one. the seam concealer is dryer than maybelline. But the seam concealer is much better good cover! so i use this covering my spot. it works very well. but never use my dark circle. Great coverage. Medium to full. I’m somewhere between #21-23 for Korean makeup products and I use #1. Which I feel matches me. It does oxidise slightly. Slightly dry, would need to moisturise properly for those with dry skin. I love this! I bought #2 to cover my blemish and redness. It completely merged with my foundation. I apply it with the included applicator and then blend it out with a beauty blender or a sponge. I am fair to light medium skin tone (Asian). I must say I don’t get the hype this concealer is so drying even though I have an oily skin. It does have a good coverage but if you use too much it looks a bit cakey. I bought this concealer because of the hype but it doesn’t work for me. It may cover my dark circles to an extent but gets realy caky throughout the day. I used it on top of different foundations but it always enhances my fine lines and often gets patchy. This concealer may work great on others but I definitely wouldn’t repurchase it. This concealer is high coverage. It is creamy and can get dry throughout the day so make sure to moisturize your face properly. You don’t need to put a lot of concealer under your dark circles, only a little bit. best concealer ever! I have acne prone skin, and this product covers my acne perfectly without being cakey on the face. Greatest concealer ever! Full coverage but not cakey at all! A little bit goes a long way. Love this concealer. Buildable coverage. Covers my dark circles and redness around the nose. Lasts around 6-8 hours. Color natural beige fits well with Asian medium skin tone. Coverage is good but if you have fine lines under your eyes like me, it can crease up. Also you have watch out for the amount to put on because it can cake up. Great coverage and long lasting. I have the shade 1.5 and it suits my skin colour. It covers my blemishes well. I love it! this is my second purchase I love this concealer so much!!! It’s light weight but still have great coverage! And it’s also very cheap compared to high end brands. Totally recommend it! Gosh! This concealer is lit! 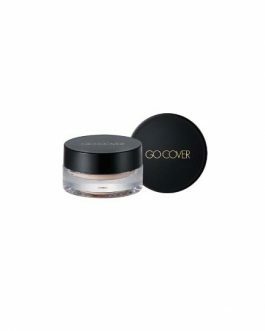 the coverage is great I have deep dark circles and the concealer covers them without any problem, also the texture, the smell is really soft and nice and it blends pretty well with my foundation/bb cream/cc cream. Also the price is fantastic. I really love this product! 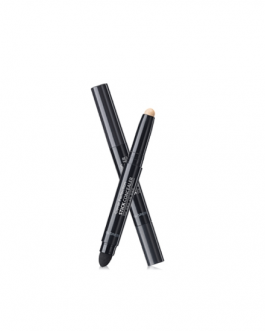 My all-time favorite concealer for the under-eyes and redness around cheeks and chin. Have tried many other brands, but still find myself reaching out for this eventually. Coverage is good and it is not drying. I uses shade 01. One of the best concealers ever! Amazing coverage, not dry and smells very nice! I love it. The packaging is not big, but everything about it is perfect. shade 1.5 is perfect for me (I’m a shade 21) and a little can cover well. It blends well too, and lasts long! Very satisfied. Not a fan. I don’t want to completely drag this product because I don’t think it’s terrible. It’s just not made for people with dry skin. I would however recommend this to anyone with oily skin because i don’t think this is a concealer that would move around at all throughout the day. Coverage is medium to full. Price is extremely nice for the product if you have the right type of skin for it. 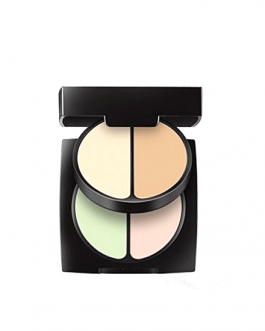 Great concealer! I got it in the lightest shade which is a bit too light, but nothing I can’t work with. Coverage is good and lasts quite a while. Price is very good too! I heard so many raved reviews about it and had to try it for myself. I bought No. 02 “Rich Beige” and it fits my skintone perfectly. The coverage is medium. I mostly use this for my acne scars, pimples and under eyebags. It does a great job to cover and is very easy to work with. Not too dry nor wet. 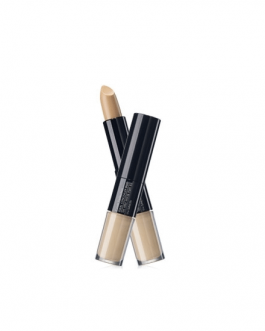 It sets well into the skin and doesn’t leave dry patches like normal concealers tend to leave. For the super duper cheap price and great product, I reckon it’s worth the buy! The pocket-sized packaging is very travel friendly as well 🙂 Thumbs up for sure. This concealer does have good coverage, but it’s kind of dry for me. I tried putting it under my eyes but it didn’t work out good. Fine lines were definitely emphasized. The tube also doesn’t close too well or something because it leaked some concealer out. Great product, good price. I already bought three of them and absolutely love this. I know this product was so hyped up but I just never got myself to buy until a few weeks ago and I am so freaking glad I did. THIS IS AMAZING! covers so well and isnt drying at all. I would highly recommend to people looking for something to cover small acne spots. Small quanitity but it does wonders. For the price it’s and amazing product. I’m in love with this concealer. It is cheap and does the job so well for me. The coverage is great for under eyes and little spots. It can be quite thick, but you can solve that with a good eye cream and not putting too much on. It also blends nicely with a sponge. 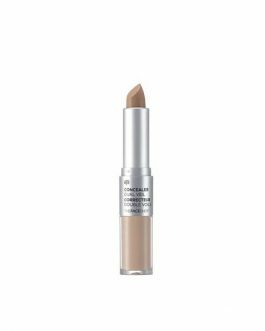 This concealer works perfectly on my foundations and my BB creams. The applicator helps me put the perfect amount on my face and it is incredibly soft. It’s a great deal and it works so I would definitely buy this again. The coverage of this concealer is amazing! 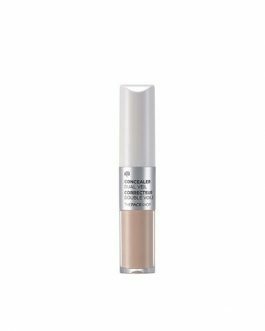 It’s super full coverage and great for covering dark circles/acne scars/blemishes. I bought the shade 1.5, and it is much more yellow/darker than I expected. 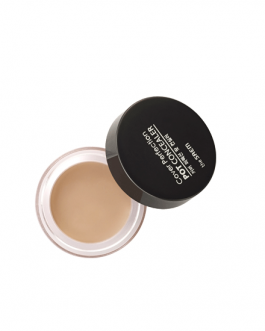 I’m MUFE Y225, so the shade is great for blemishes, but too dark for my undereye circles. If you’re looking to cover dark circles, I would recommend purchasing shade 1. 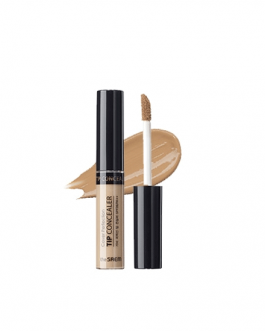 Very good concealer! It has an amazing covering power and you need to use very little product! It’s going to last you a looong, lovely time! First time purchasing a concealer, absolutely A HOLY GRAIL. I have some scars and random zits here and there and this DEFINITELY covers everything up. Will be repurchasing again. An Okay Concealer!. nothing is special about this concealer. And it comes in a very very small container. It gets cakey after a while for sure. Bought this concealer in 1.0 and 1.5. Not sure if its me not putting it on well or what but concealer seems very cakey. I feel like i looked way better prior to putting it on. Coverage wise it is just okay. I’m not overly WOWd by the product and will probably not buy again. Good coverage and easy to blend. Does not crease too much at the undereye area if it is well moisturised before application. What else Should I Say 1bout This Concealer ?? I Think It’s my 10 th Time Buying it ! It’s just Perfect You Can ‘t find A better one or even Like it with That Price ! It Provides Good Coverage for me . And it Blend so well That I Can just apply It For my Dark Circles With No need To apply Foundation Over it ! I’ve been struggling to find a concealer that does pretty much full coverage and not look cakey. This one basically erases your blemishes, and doesn’t get cakey at the end of the day. It also has this nice little smell. I wish I bought more when it was on sale, but I’m definitely restocking on this one. 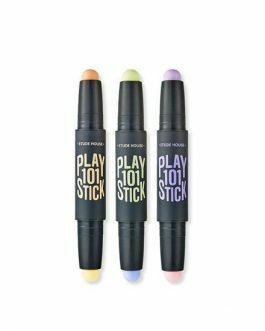 Really good concealer for covering acne and dark circle! Recommend!